My super awesome guest posts begin Monday, and they can’t come soon enough! I’m pretty tired overall, still heading into work each day and trying to distract myself as much as possible. I love every single one of my guest posts, almost wishing I could give them to you all at once, but then that wouldn’t be much relief for me! Wedges! This one in particular… goofy or very fun? Martha Stewart’s idea on how to fix your duvet from sliding around… I thought we were the only one with this problem! Instagram… I love it. I love posting pictures to it. You should get it. Then follow me! 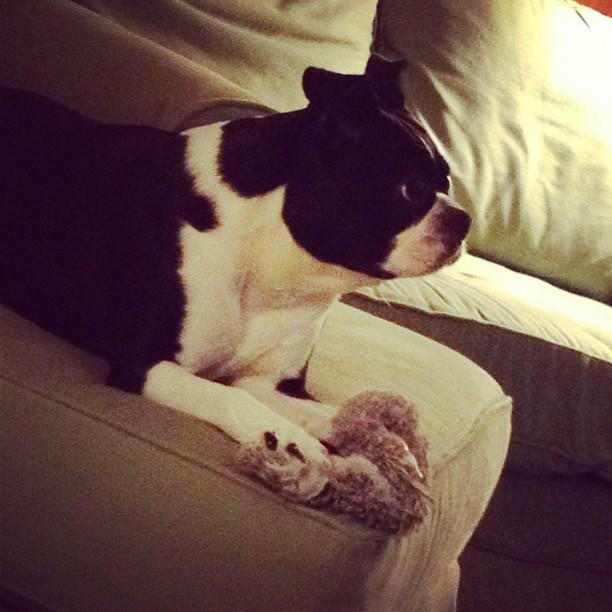 Lucy watching the Westminster Dog Show. Hey, have you had the baby, yet? I think she was due yesterday.